GENEVA (Reuters) -- The main talking point at this week's Geneva auto show is likely to be a vehicle that may never be built: the Apple car. The world's automakers will gather in the Swiss city to tout their latest minivans, supercars and SUVs against an uncertain market backdrop, with growing signs of recovery in Europe offset by slowing demand in emerging markets. But longer-term worries are also looming large. 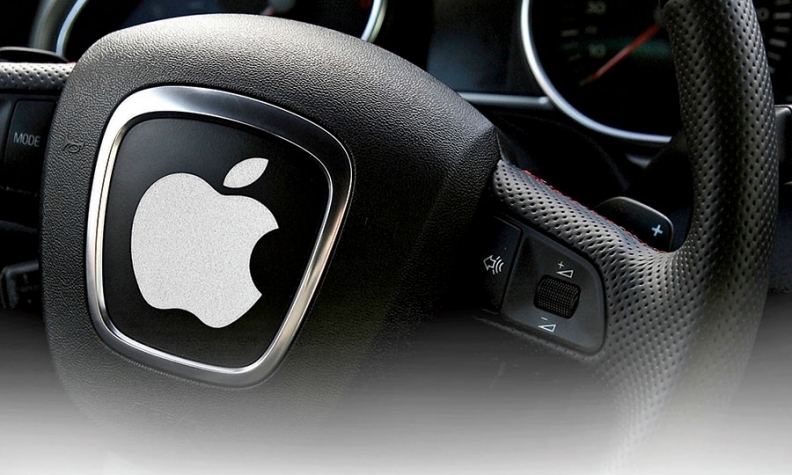 Reports that technology giant Apple may be building a car have got established automakers wondering whether they are still in pole position to build the car of the future. The growing use of computing power in vehicles, and the ability of cars to connect to smartphones and other devices, is providing technology companies and automakers with new business opportunities -- and increasingly making them rivals. Thilo Koslowski, vice president automotive at technology market research firm Gartner, believes there is now a race between carmakers and tech companies to control the "brain" of next-generation vehicles. "Among the automakers there will be two camps: those who understand this space, and those who give outside technology companies access to the center stack of the vehicle. Those companies will emerge in the next five years," he said. The ability of software companies such as Apple and Google -- which is working on driverless cars -- to innovate and create new revenue streams has worried automakers. Another factor intimidating car executives is Apple's size. With a market capitalization of $750 billion, it's worth more than Daimler, Volkswagen Group, Renault, PSA/Peugeot-Citroen, Fiat Chrysler, Ford Motor Co. and General Motors put together. Carmakers haven't given up the fight, and many are investing heavily to position themselves as high-tech companies. Daimler CEO Dieter Zetsche has said the race to build the car of the future is far from over, and it's not yet clear what role technology companies will play. "Google and the likes want to get involved, I don't think in the first place to build vehicles," he said. "We have to understand that, and then to find our roles, to which extent they are complementary, to which extent we become dependent, to which extent we are competitors." Daimler, the inventor of the modern motorcar, is touting MercedesMe, while rival BMW Group is pushing ConnectedDrive -- services that give drivers access to live traffic updates, "infotainment" and even alert emergency services if a car's airbags are activated. Underscoring the convergence between carmakers and technology companies, Renault chief executive Carlos Ghosn is making an appearance at the telecom industry's Mobile World Congress in Barcelona on Monday, before moving on to Geneva. And at the Geneva show, Opel, the European arm of General Motors, is giving its Opel OnStar connectivity service as much prominence as any of its cars.